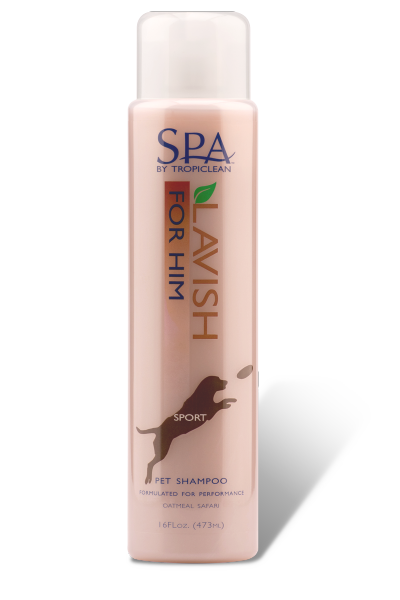 Sporting scent for the sporting dog! 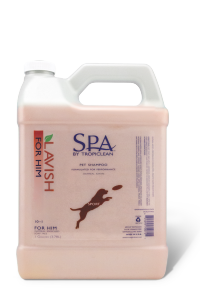 All breeds can enjoy sporting the fresh scent of TropiClean’s SPA for Him pet shampoo. Pro-vitamin B5 helps maintain and protect healthy skin while vitamin E a shiny coat making colors more vibrant. Hints of nectarine and ginger leave a fresh effervescent scent. 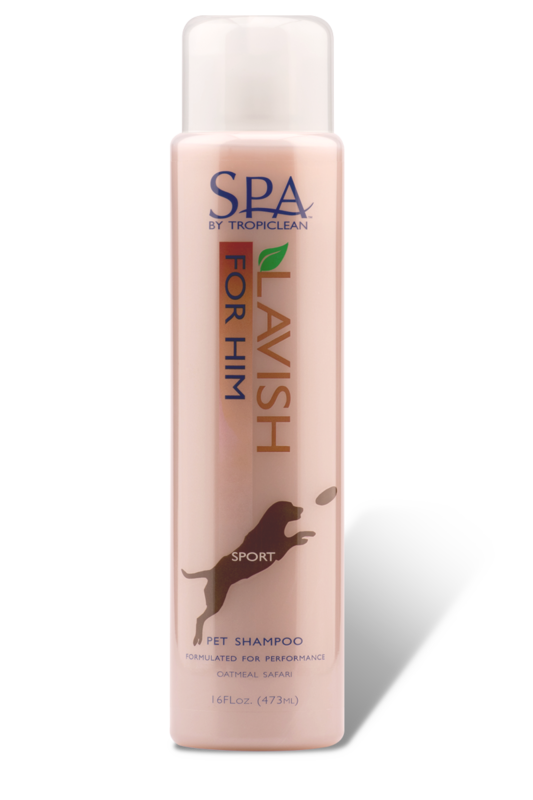 For maximum efficacy, use in combination with SPA Sport for Him Cologne. Water (Aqua), Hydrolyzed Wheat Protein, Panthenol (Pro-Vitamin B5), Zingiber Officinale (Ginger), Mild Coconut Cleanser, Avena Sativa (Oatmeal), Prunus Persica (Nectarine), Oryza Sativa (Rice), Camellia Sinensis (White Tea), Vitamin E.
Smells like a man!I use this for my yorkie and I like it a lot. He smells so good and the smell lasts for days, smells like a man! His coat is shiny and glossy too! Women will love this and men want to use this!This product is incredible! I've used a lot of the TropiClean product. They're all amazing and give a great clean, but this one is remarkable! 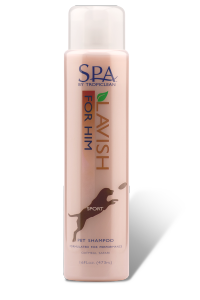 I used this on my Siberian Husky with D Mat conditioner and he smelt great and felt soft! I used this shampoo on him and I just went around sniffing him! He thought I was nuts, but I couldn't get enough of this scent! My brother stopped by three days later and was petting him and he asked what kind of shampoo I used on him because he wanted some! I told him it's dog shampoo! He still wanted some! It's all natural, I hope it's ok! well see! Point is women will love this and men want to use this! Great to be followed up with TropiClean D Mat. Good for shedding and gives them incredible softness! Shake bottle well before using. 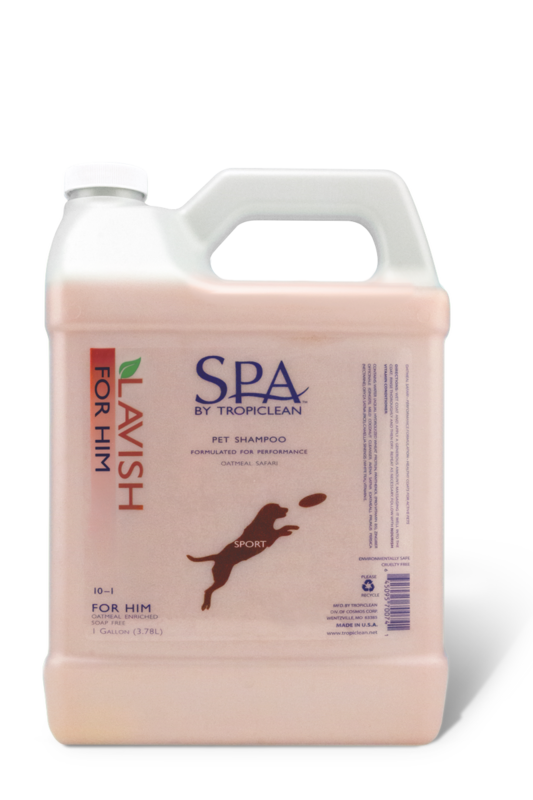 Wet your pet’s coat thoroughly and apply a generous amount of shampoo, massaging it well into your pet’s coat for 3 to 5 minutes, then rinse well. Dry your pet with a towel or other absorbent cloth. Safe for daily use.